Here, I cite that prophet-with-a-small-p “Elder” C.S. Lewis, who argues that inspiration can include adaptation of uninspired sources. Creation in Genesis is derived from earlier Semitic stories which were Pagan and mythical. We must of course be quite clear what ‘derived from’ means. Stories do not reproduce their species like mice. They are told by men. Each re-teller either repeats exactly what his predecessor had told him or else changes it. He may change it unknowingly or deliberately. If he changes it deliberately, his invention, his sense of form, his ethics, his ideas of what is fit, or edifying, or merely interesting, all come in. If unknowingly, then his unconscious (which is so largely responsible for our forgettings) has been at work. Thus at every step in what is called —a little misleadingly— the ‘evolution’ of a story, a man, all he is and all his attitudes, are involved. And no good work is done anywhere without aid from the Father of Lights. When a series of such retellings turns a creation story which at first had almost no religious or metaphysical significance into a story which achieves the idea of true Creation and of a transcendent Creator (as Genesis does), then nothing will make me believe that some of the re-tellers, or some one of them, has not been guided by God. Thus something originally merely natural—the kind of myth that is found among most nations—will have been raised by God above itself, qualified by Him and compelled by Him to serve purposes which of itself it would not have served. Generalizing this, I take it that the whole Old Testament consists of the same sort of material as any other literature—chronicle (some of it obviously pretty accurate), poems, moral and political diatribes, romances, and what not; but all taken into the service of God’s word. But when I don’t have a good General Authority, I’ll settle for the pseudo-authority of Lewis as the sugar which helps the medicine go down. So quoting Lewis must mean that (sadly) you can find no LDS authority that recognizes the diversity of genres within the Bible. As in all good books every literary device is used in the Bible that will drive the lesson home. It contains, history, poetry and allegory. These are not always distinguishable, now that the centuries have passed away since the original writing. , as Ardis shows here . If God “speaketh unto men according to their language, unto their understanding,” then why do God’s modern prophets treat essentially every scripture as history and/or applicable to us in our day, as written? Or to put it another way, if Genesis 1, for example, was meant as, say, a way of impressing on ancient Israelites’ minds the majesty of YHWH and his creation, and not as an account of how all this stuff physically came to be, then why have God’s modern prophets always understood it to be about physical creation? Or from yet another perspective, why does God give immediately expedient scripture (or allow something to be accepted as scripture), knowing it will be misunderstood by later generations, without providing a mechanism (such as through his prophets) to avoid that misunderstanding? Prophets have always interpreted past scripture in terms of their current knowledge, which is largely shaped by culture. Paul and Jesus interpret the OT using the same assumptions and methods as other 2nd Temple Jews for example. I’m not aware of anyone today claiming strong revelation for their views of Genesis, whether Apostolic or not. It’s quite clear, for example, that Joseph Fielding Smith was not getting new revelation as much as offering an interpretation of old revelation, one which others disagreed with, btw. Dave (1) at one time different genres were discussed regularly in the Ensign. Sidney Sperry, for instance, identified 16 major literary genres in the Book of Mormon. While the Ensign IMO went really downhill there for a while (and still isn’t as good as it was in the 80’s) they’ve been discussing genres more recently. For instance Matt Holland talks of the different genres in the Book of Mormon. Don’t get me wrong, they could do better. But I really think the limits of exegesis aren’t neglecting to identify genres. The question is the more ambiguous matter of figuring out implications. Ben, I like the approach you describe in this post. But I’m struck by the contrast between the approach to Genesis in this post, and the approach to Paul in your previous post, where the original historical context is used to differentiate correct and incorrect readings of grace and works. But couldn’t Luther’s (or someone else’s) reinterpretation of Paul be treated the same way you outline here, as a divinely guided emergence of new significance in a prior text? No. The authority of Luther’s interpretation stems from an inherent claim that he is unveiling what Paul really meant, in context, if you asked him, not merely a transformative application. If we are still arguing whether there is myth, folklore, or literature in the Bible, then the LDS print industry has been an abysmal failure. I think the problem John, is how few people read commentary on the scriptures. Let’s be honest. It’s a chore just getting people to do the Sunday School lessons. While Mormons might be better informed than the typical Christian, that’s damning with faint praise. By and large people don’t read their scriptures, aren’t curious about their scriptures and have little desire to learn about genre or how that affects how we read scripture. That said, even a trip to the orthodox Deseret Books leads to tons of books that go through all these things in regards to LDS scripture. So we as a Church can’t say the resources aren’t there. Ben S (8) I think that’s a bit of a slippery slope. After all many people assume the JST or other expansions of scripture are relating what was really said. i.e. correcting errors. Whereas while I’m quite open to that being true in some cases I more often think it’s transformative. i.e. a new revelation. The typical Mormon response, especially from apologists, is that the prophet need only reveal the revelation and not necessarily understand it’s nature. If we apply that to Joseph there’s no reason the same logic couldn’t apply to Luther. That said of course I think the main issue is Luther is typically wrong, and often in a very distorting way. The best we can say is that he’s better than Calvin. So he’s wrong both in theology and in interpreting the underlying texts. Clark, true. But what books at Deseret Book do you refer to? It seems to me that most commentaries are in the “scriptures made easy” category. So even when people do read popular commentaries they get devotional platitudes. Dave, your quote seems a mile rebuke—an admonitions that we should only read from church approved books. It that is true, why do the General Authorities themselves quote from non-LDS sources? I am a profuse reader of books published by Deseret Books. I don’t watch much television and in my spare time I find it useful to gain insights from non-LDS authors. I don’t do this to learn new doctrines. Rather, as is often the case with CS Lewis, I find that a specific author will sometimes have the ability to crystallize a concept or provide an insight I had not considered before. While I recognize the perception that the church has all truth, and therefore it is unnecessary to read what others might said, I believe that there have always been people on the earth who were entitled to inspiration from our Heavenly Father and that we can sometimes gain from their insights. With regard to CS Lewis and the use of only approved literature, I had an interesting experience several years ago. The faculty within our college at BYU would often meet in the faculty lounge for lunch. The conversation usually focused on athletics. I’ve never been intensely interested in sports but attended for the congeniality. One day after the discussion concluded, I had a few minutes before class and so was reading Mere Christianity by CS Lewis. A member of our faculty, a good man, a Bishop, but avid athlete asked me what I was reading. I told him CS Lewis and that I hoped to spend Saturday finishing the book. He frowned and asked me if CS Lewis wasn’t “one of those Protestant ministers?” I told him that he was a Protestant, but to my best knowledge was not a minister. “I don’t think you ought to be reading that stuff,” he replied. It isn’t an approved church book. I didn’t tell him that CS Lewis was often quoted by David O McKay, Richard L Evans, Neil Maxwell, and a host of other general authorities. 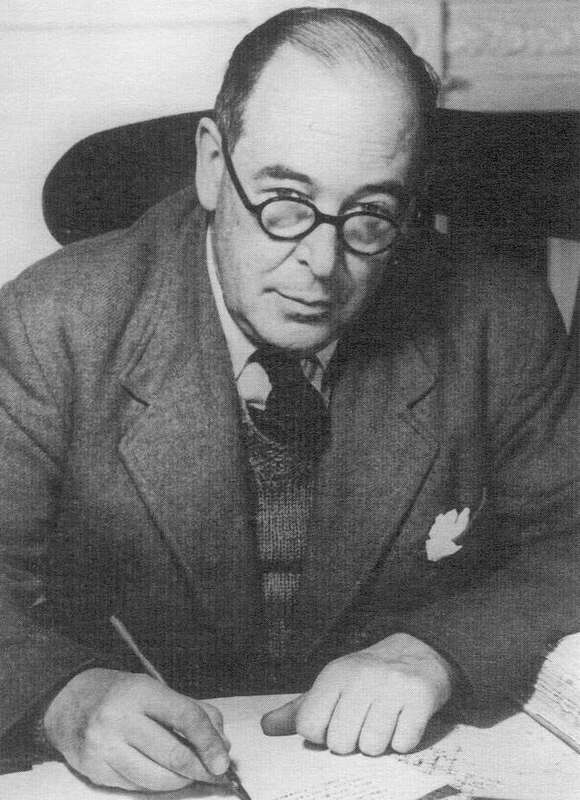 Our conversation was congenial, but as he left it his message was unmistakably clear that reading CS Lewis on Saturday would not get me closer to the Lord. I was not offended, one can always quietly disagree. My friend f inished lunch before I and as he was leaving I was asked him how he was going to be spending his Saturday. His eyes brightened and he smiled proudly. “I’ll be watching the Minnesota/Ohio State game!” he said. John, last time I was in DB they had several of Jim Faulconer’s books there.